Aquaculture experts from the University of Stirling are leading the research behind a £4 million project to boost production in the Scottish salmon farming industry. Atlantic salmon is the UK’s largest food export, with a retail value of over £1 billion. The Scottish Government has set increased production targets for Scottish salmon, making the most of domestic demand as well as increasing the export potential of Scottish salmon to traditional markets such as the US and France, and emerging export markets such as China and the Gulf States. Scientists from the University’s internationally acclaimed Institute of Aquaculture have helped to develop the potential of wrasse, a cleaner fish which supports the efficient production of salmon. Stirling researchers are using wrasse as part of a sustainable, integrated pest management strategy. The success of this strategy has now seen the Scottish Aquaculture Innovation Centre (SAIC) invest in a new project bringing the research team together with the commercial sector to upscale the use of wrasse. “Just like a sandpiper bird cleans a hippo from ticks, wrasse comb salmon and remove sea lice,” explains Hervé Migaud, Professor in Fish Physiology and Director of Research at the Institute of Aquaculture. The project is being rolled out at Machrihanish on the west coast of Scotland and brings the researchers together with commercial sector partners with the potential to create new jobs in both salmon and wrasse production. Working collaboratively, the project aims to solve the bottlenecks limiting productivity and improve the quality and delousing efficacy of farmed wrasse. 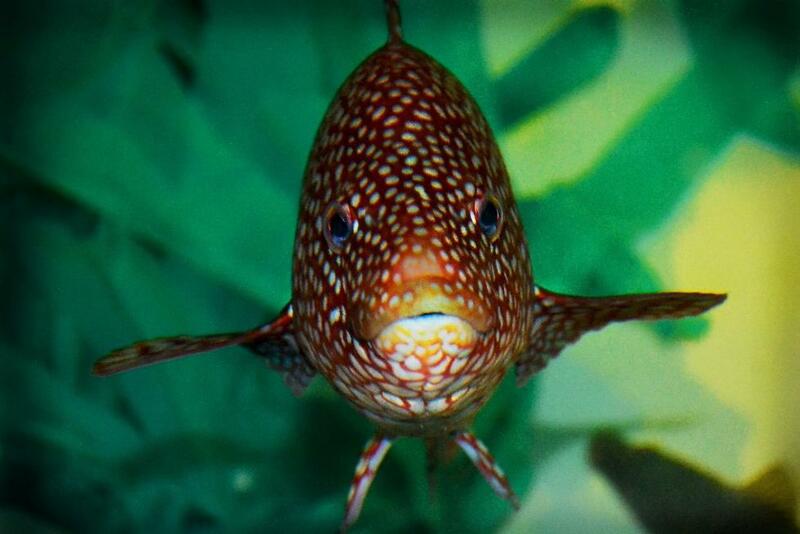 It will also advance hatchery technologies and optimise the welfare of wrasse. Knowledge gained from the project will lead to fish farmers receiving a beginning-to-end guide on the breeding and husbandry of farmed wrasse. Professor Migaud added: “The previous use of wrasse in fish farms has largely involved the collection of wild wrasse, a solution which is not sustainable in the long term. However, the culture of wrasse is in its infancy in the UK and production challenges have limited the deployment of farmed wrasse. “The Scottish Aquaculture Innovation Centre’s support and funding will enable us to extend this project from proof of concept to the commercial environment. The impact of the research will be considerable in both scientific and economic terms. SAIC grant funding is combined with contributions from a consortium of the University, Marine Harvest (Scotland), Scottish Sea Farms and BioMar. Heather Jones, CEO of the Scottish Aquaculture Innovation Centre, said: “The Scottish Aquaculture Innovation Centre’s role is to promote industry success through research partnerships, bringing industry and academia together to help grow the industry sustainably through innovation. Stirling’s Institute of Aquaculture is the No.1 research and training department in the UK with 100% of its research classed as world-leading. Media enquiries to communications@stir.ac.uk or 0044 (0)1786 466 687.